We have already submitted the board and now we are waiting for the manufacturing. We should receive 6 boards by the first week of April and afterwards we will start the componentes soldering. We have already received some of the components. 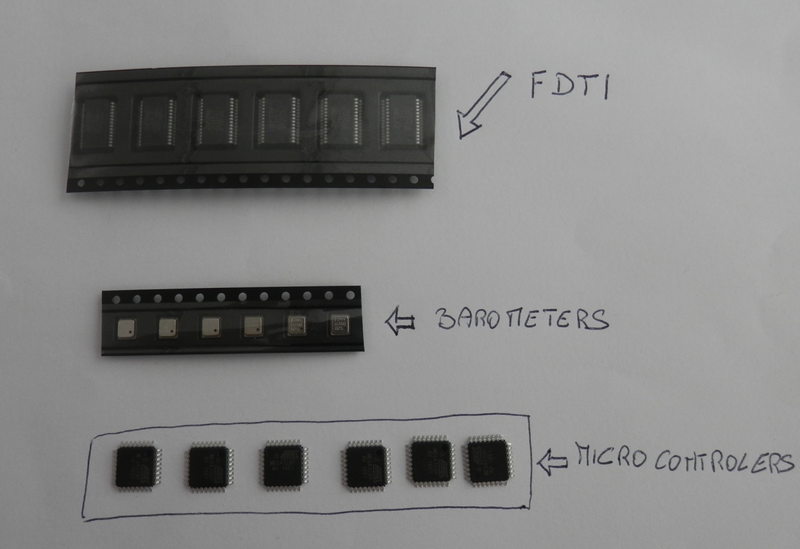 In the picture you can see the barometers, the microcontroller and the FDTI microchip to connect directly the board to a normal PC. We expect to have EJTimu operative by mid of April. EJTimu is a low cost Attitude and Heading Reference System (AHRS) allowing for loose attitude determination in the order of 1-2 degrees plus an accurate barometer and a FDTI to connect and operate the board from a normal PC. This plug and play board is intended for rapid navigation algorithms prototype and validation to everyone who desires to operate an UAV, a DIY robot, a QUAD or Drone. Research institutes and academy people interested in integrating and validating algorithms by simply plugging a board.